Date January 24, 2006 . The shortlist has been selected by a panel consisting of 12 media professionals representing Irish print, radio and TV from the four corners of the island. The overall Album of the Year will be selected by this judging panel at the Choice Music Prize event at Vicar Street, Dublin on Tuesday February 28th. 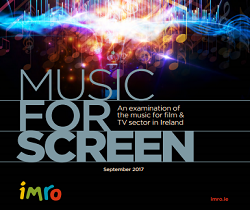 The winning act will receive 10,000 euros, a prize which has been provided by the Irish Music Rights Organisation (IMRO) and the Irish Recorded Music Association (IRMA). The act will also receive a specially-commissioned award, courtesy of the Recorded Artists And Performers Ltd (RAAP). The winning album will also benefit from a full advertising campaign from Today FM. The Choice Music Prize event will be covered live on Tom Dunne&acutes Pet Sounds show on Today FM on February 28th. Tickets for the Choice Music Prize event (costing 25 euros including all booking fees) will go on sale from Ticketmaster outlets on Monday January 16th. Full information on the acts who will be performing on the night and other elements of the event will be announced later this month. 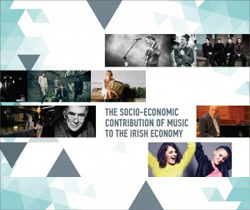 The Choice Music Prize Irish Album of the Year is a new award which has been established to celebrate and acknowledge the work of Irish musicians. 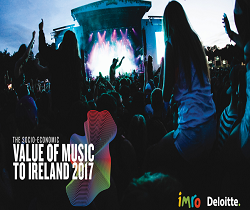 Every single year, hundreds of albums are released by Irish artists in every genre, from indie, trad and pop to electronic and jazz. 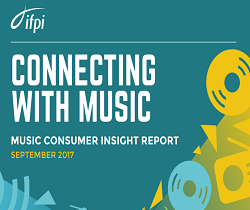 Instead of using sales or airplay as criteria, the Choice Music Prize will focus, simply and solely, on the music. The Choice Music Prize is co-ordinated by Dave Reid and Jim Carroll. Jim Carroll will be the judging panel&acutes non-voting chairman. Dave Reid runs Broadcast Mgt & Events, the company who also organise the National Student Music Awards. Jim Carroll is a music journalist with The Irish Times.